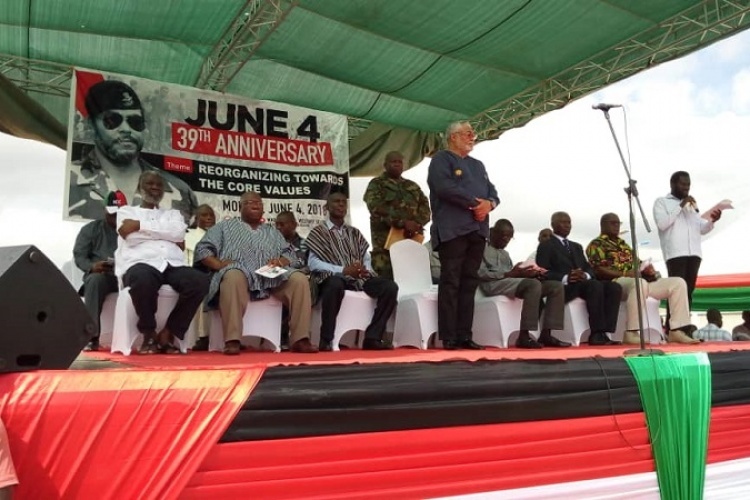 Former President Jerry John Rawlings has launched yet another scathing attack at colleague former President, John Agyekum Kufuor over HIV, poverty and population explosion in the country. The man noted for what many Ghanaians describe as ‘boom’ speeches, said the selfish and backward thinking of the former president is to blame for poverty among Ghanaians because of his campaign for uncontrolled birth which has dragged the country into the bosom of poverty, MyNewsGh.com reports. “I remember when we were doing well and even during elections or preparations for elections….and I go round campaigning and would still be talking about HIV/AIDS and I would still be talking about family planning. When NPP would be doing nothing but promising this…Kufuor promising that to the extend he went far and urged Ghanaians to give birth to more children”, he disclosed. “I thought to myself what is wrong with this man? I want my people to be rich…to have enough. There will never be enough when you are bringing forth uncontrollably. Not knowing some of them have in the back of their minds the more people they can have, will be more votes they can have. Such selfish backward thinking”, he jabbed during a meeting NDC supporters at Ashaiman in the Greater Accra Region. According to him, the whites are able to control poverty because of family planning which he tried implementing under his tenure but this was scuttled by the then opposition New Patriotic Party (NPP) with propaganda in their quest to unseat the National Democratic Congress (NDC) at the time. “The white man was able to contain his poverty through family planning”, he disclosed.